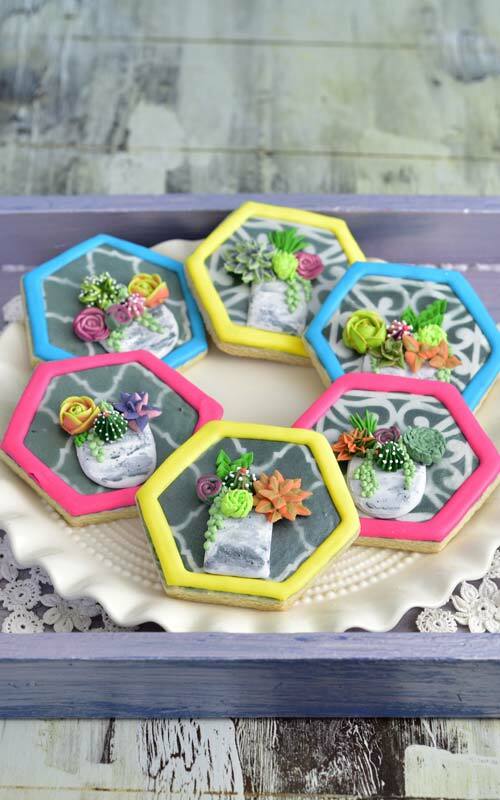 You don’t need to have a green thumb to make these beautiful Succulent Cookies. 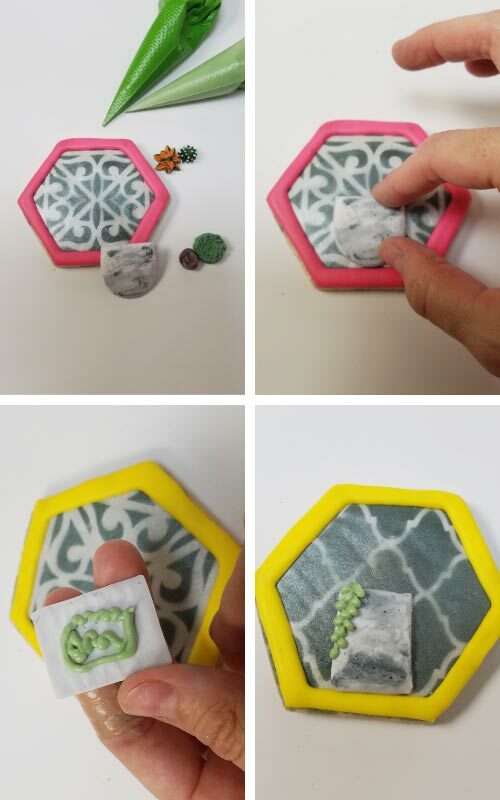 Recently I made dozens of piped mini royal icing succulents. 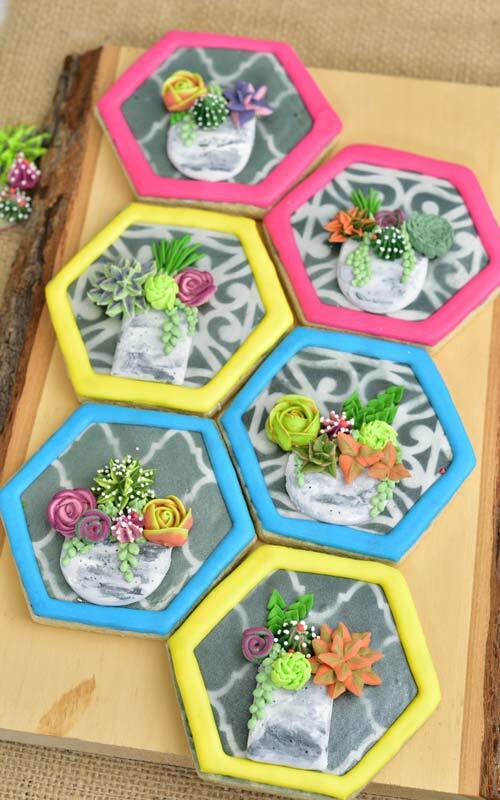 They turned our really beautiful and I decided to use them to decorate succulent sugar cookies. 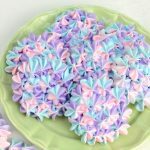 There are countless shapes you can use to make succulent cookies. For some peculiar reason I’m drawn to hexagons and other tile shapes when I think of succulents. I think clean tile lines compliment complex succulents shapes and textures. 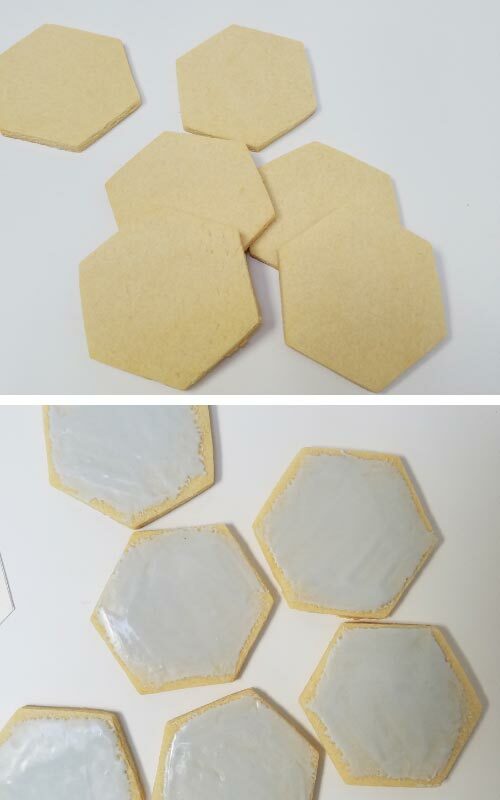 If you don’t own a hexagonal cutter be sure to get one. It’s really useful to have it around. 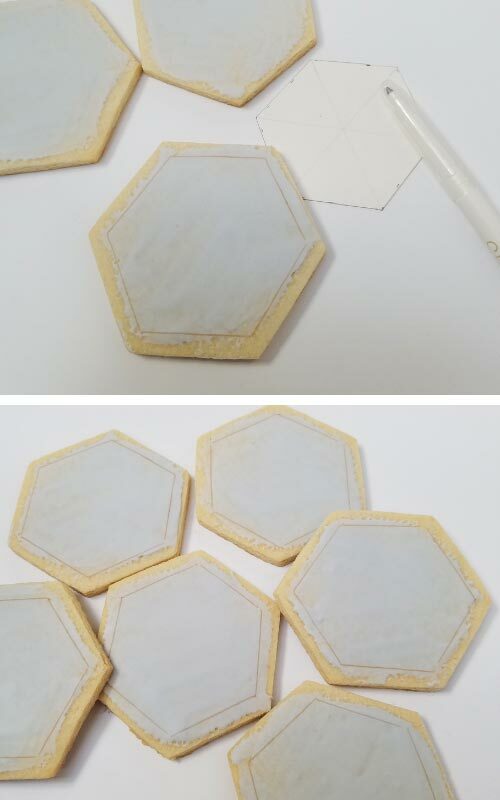 1st step is to brush a thin layer of light gray royal icing on the surface of the cookie and let dry. 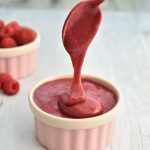 Be sure to use icing that is fluid, around 5 second consistency. Also, dampen your brush with some water. Any icing residue can be wiped off on a dry paper towel. 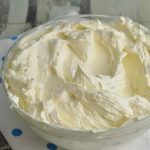 You don’t need to apply icing all the way to the edges. Let icing dry. Drying will take only about 30 minutes. 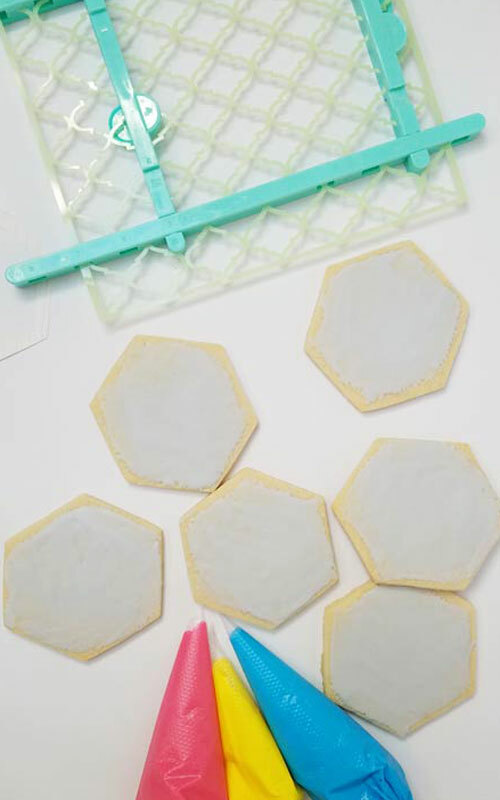 With a card stock template and edible marker trace the border outlines on the cookies. Airbrushing is an easy way of adding interesting patterns to your cookie designs. I use this airbrush. Today I’m using 2 stencils. 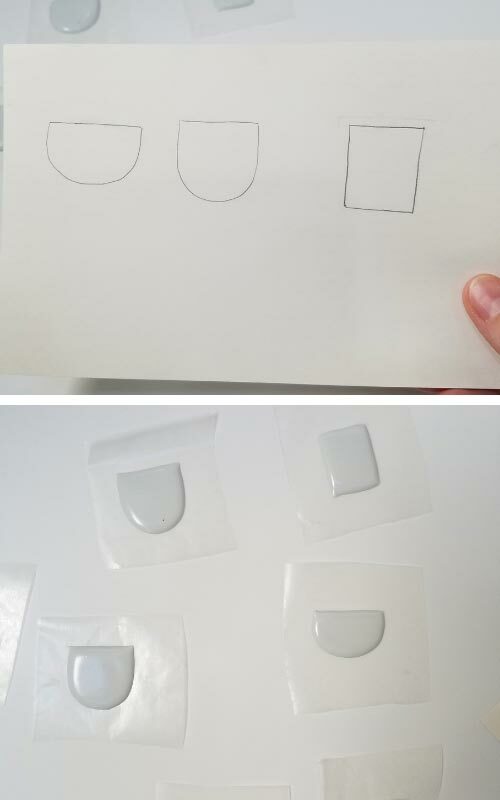 I secured each stencil in a stencil holder. Securing stencil in the stencil frame helps to keep it in place. You can also use the magnets. Once airbrushed with black airbrush color let the airbrushed cookies dry for 10 minutes. 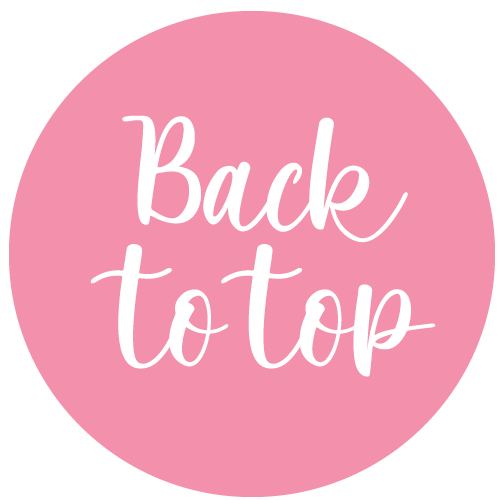 Then proceed with making a border using bright pink, yellow and blue 20 second consistency royal icing. Follow the border guide line you drew with an edible marker. 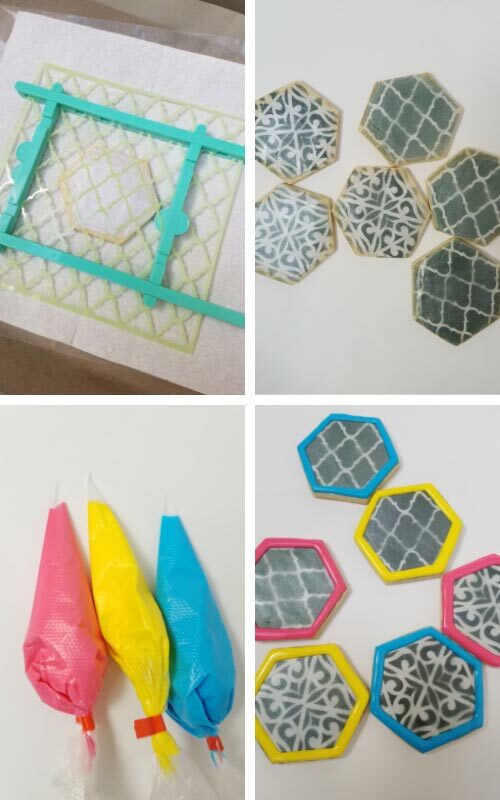 Flour pots are royal icing transfers and you can start working on those ahead of time. I used wax paper as my backing sheet and I piped each pot with light gray 20 second consistency royal icing. Let them dry overnight. Concrete texture is so popular these days. Why not create concrete flower pots? Let’s do it. I used white, light and dark grey stiff royal icing. 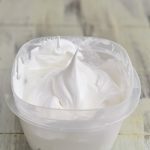 Use a brush to spread white icing on the dry flour pot. Continue by adding some light gray and use palette knife to spread it in short strokes in horizontal direction. Add little bit of dark gray and continue working with the palette knife. 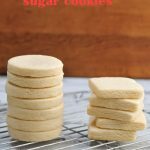 Let it crust then using a needle tool or a toothpick make small holes in the icing. 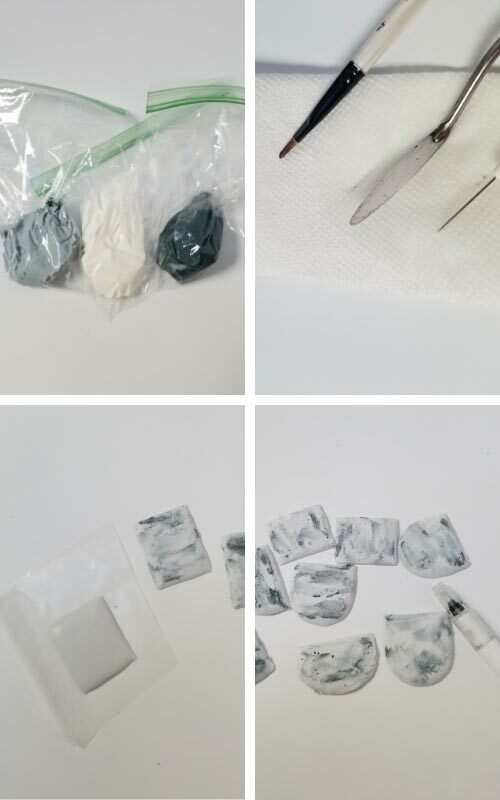 Let dry completely and use black edible marker and make random dots on the surface. Last few steps are really easy and take only a few minutes at the most. 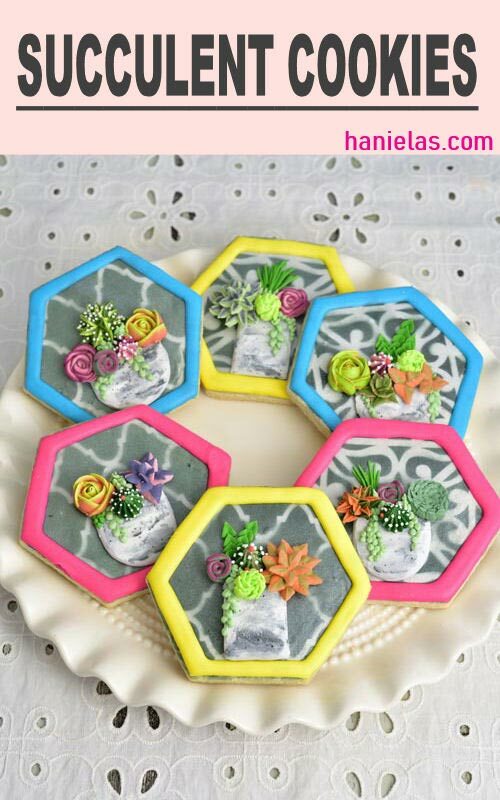 Glue flower pots on the cookies. Using a green piping consistency royal icing pipe String of Pearls Succulent. Either in a single line or make layered cascading designs. 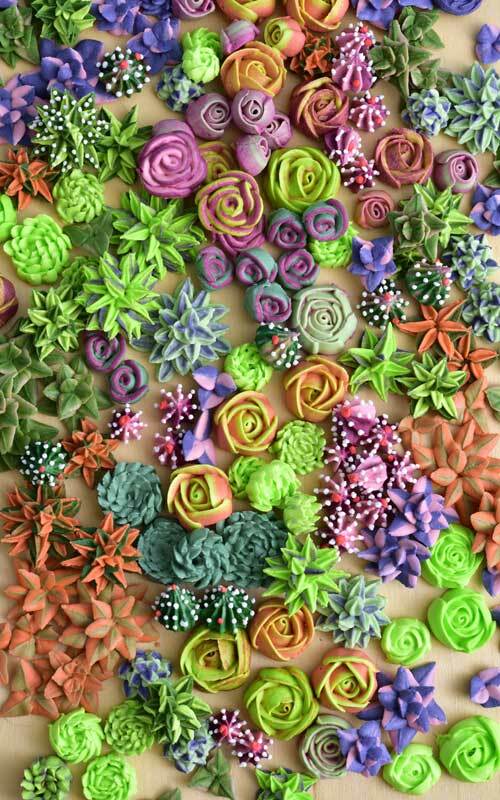 Then arrange premade royal icing succulents and glue them on with royal icing. Any gaps between decorations can be filled with fresh green royal icing. Further, if you see it fit, you can add additional vertical succulents. I used a leaf tip (cut the tip of the piping bag into a V shape) and a regular round opening to pipe vertical ones. They help to balance the design. The electric colors are so beautiful against the gray background and marbled pots!